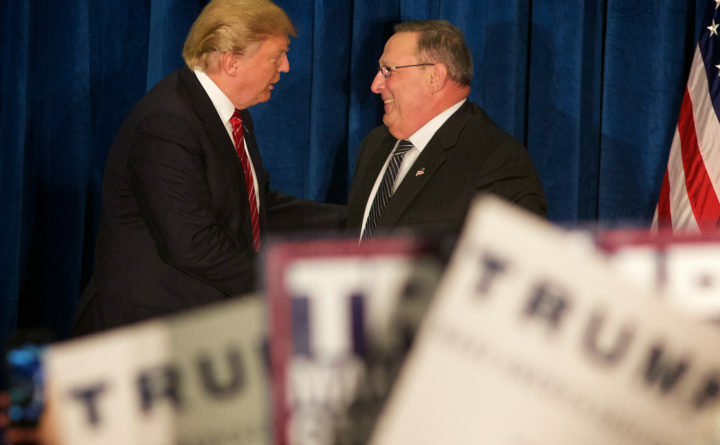 Donald Trump shakes hands with Maine Gov. Paul LePage at a 2016 campaign rally in Portland. President Donald Trump is pushing Maine Gov. Paul LePage to run against U.S. Sen. Angus King in 2018, according to White House advisers. Trump has told advisers he plans to call LePage, the bombastic Republican governor who endorsed him in February 2016, and ask him to jump in against King — and tell LePage he would endorse him. King is an independent former two-term governor who caucuses with Democrats. White House officials have been in touch with LePage’s political team in recent weeks, according to two people with knowledge of the talks. LePage toyed with the idea of challenging King for the better part of two years before ruling out a run in May. State Sen. Eric Brakey of Auburn is the only Republican running against King now. But LePage came up again Tuesday at a White House meeting on Senate candidates, as Trump and his team went through a list of states and races — including Arizona, Missouri and Maine — the officials said, looking at individual candidates and poll numbers and what candidates could get in the races. Trump was cautioned from making too many major decisions because the field is so fluid, according to one Republican with knowledge of the talks. Among the discussions in the meeting was Rep. Martha McSally, R-Arizona, and whether she will get in the Senate race, and whether the president would support her, according to a person with knowledge of the talks. “The president is actively engaged in fundraising, candidate recruitment and other efforts to help elect Republicans up and down the ballot,” said Raj Shah, a White House spokesman. He declined to comment on the LePage conversations, calling them private. Messages left for LePage’s office were not immediately returned. 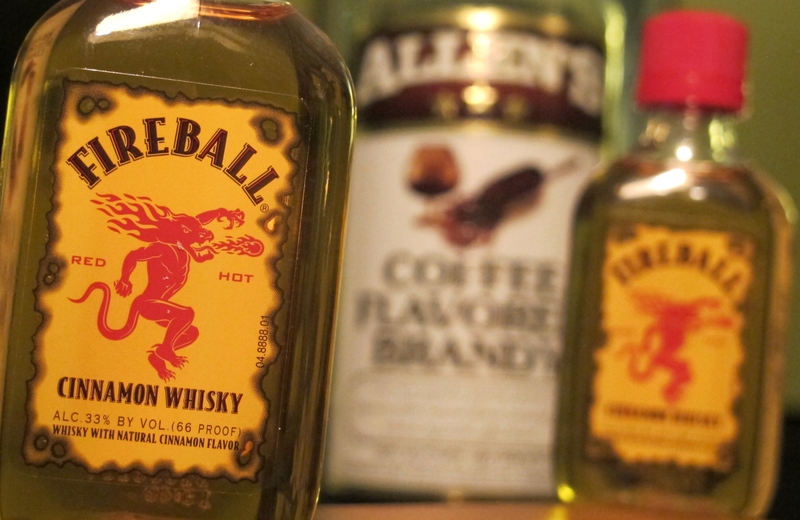 His political adviser, Brent Littlefield, declined comment. In October, former Trump adviser Stephen Bannon urged LePage’s wife, Ann, to run for King’s seat, but she was coy about the possibility in her only public remarks on it. LePage’s approval rating in Maine is 42 percent, according to Morning Consult, ranking him the seventh least popular governor in the country. He has caught flak in Maine for controversial statements about minorities, threatening comments to a lawmaker in a voice-mail message and an assertion that he makes up stories to fool the political press, who he castigates in personal terms. He also has a contentious relationship with U.S. Sen. Susan Collins, the state’s senior Republican. But LePage has also won election twice and cut taxes in Maine, while reducing some regulations and raised the amount of money the state has in the bank. But Fried also said that LePage “certainly has a strong base” and high name-recognition. LePage is a favorite of Trump, White House officials say. The president will occasionally ask about him unprompted or will see him on TV and make positive comments. He reminds people that LePage was an early endorser, even though the New York Times reported that LePage first drafted a letter disavowing Trump and his politics before endorsing him. LePage originally supported New Jersey Gov. Chris Christie, an early dropout from the 2016 GOP presidential primary field.